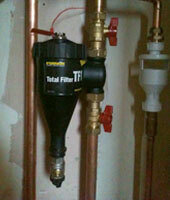 Oil, Gas Central Heating Repairs, Oil Boiler Service and Repairs. Boilers that are over 8 years old waste costly energy, no matter what type of boiler you have, Lloyd's Heating’s team of Gas Safe experts can swiftly identify faults and repair your boiler using only quality components and parts. All our boiler repairs are covered with a 30 Day Labour and 1 Year Part Guarantee for your peace of mind. Annual Boiler servicing is a wise precaution. We can ensure that your current system is operating to peak performance, ensure against Carbon Monoxide leaks and prolong it's life span. 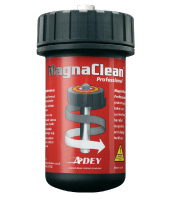 Regular maintenance can also prevent system breakdowns which can be expensive and never welcome. Boiler servicing is essential to maintain any manufacturer’s warranty. Aga/Rayburn, Esse, Stanley and Redfyre recommend a bi-annual servicing schedule. 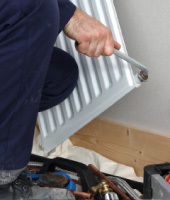 You may have a unpredictable heating system, it may make make strange noises, or may have hot water in the header tank, your radiators may be cold or may need to be continually bleed - no matter what the problem, our Gas Safe registered Heating engineer expert can help. 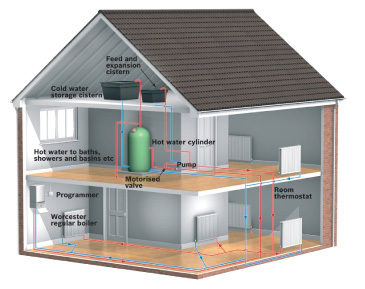 It doesn’t necessarily mean a whole new system is required, as there are many reasons for a central heating system to breakdown. Lloyd's Heating can advise on the best way to get your heating back to its maximum capability quickly. 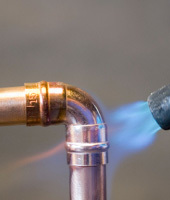 Our Services: Oil boiler repairs, Oil boiler servicing, Oil boiler breakdowns, Boiler repairs, Boiler services, Gas central heating breakdowns, Gas central heating repairs, boiler service contracts,Heating engineer, Gas safe, oftec registered, Areas we cover:Shropshire: Adderley, Alberbury, Albrighton, Atcham, Baschurch, Berrington, Bishops Castle, Bridgnorth, Bromfield, Broseley, Buildwas, Cheswardine, Childs Ercall, Church Stretton, Cleobury Mortimer, Clun, Condover, Cound, Donnington, Ellesmere, High Ercall, Highley, Hinstock, Hodnet, Knockin, Lilleshall, Llansilin, Loppington, Ludlow, Market Drayton, Moreton Say, Much Wenlock, Newport, Norton in Hales, Oswestry, Penley, Pontesbury, Prees, Quatford, Ratlinghope, Shawbury, Shifnal, Shrewsbury, Stirchley, Telford, Wellinton, Wem, Whitchurch, Wroxeter, Whittington. South Cheshire – Audlem, Bunbury, Madeley, Malpas, Middlewich, Nantwich, Northwich, Tarporley, Tattenhal, Tilston, Willaston, Wistaston. North Staffordshire – Eccleshall, Croxton, Loggerheads. Mid Wales – Chirk, Johnstown, Overton, Penley, Ruabon, Wrexham. © Gas Central Heating. 2018 All rights reserved.